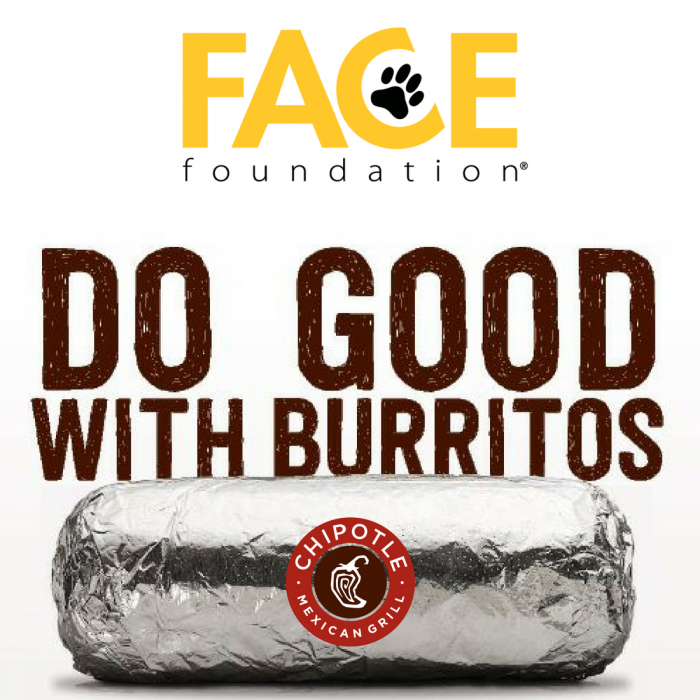 On Wednesday, October 10th, visit the La Jolla Village Chipotle and mention “FACE Foundation” at checkout and 33% of your bill will be donated to FACE Foundation’s lifesaving work! 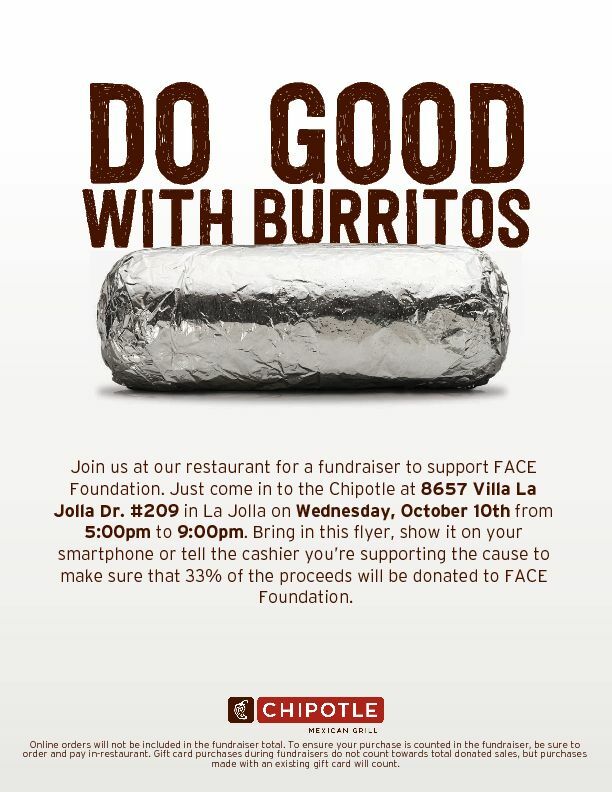 HOW TO PARTICIPATE: Please mention FACE Foundation or bring in our flyer in order to participate inthis special campaign. Can’t make it to the event? Make a life-saving donation today! FACE’s lifesaving programs provide financial grants to animal owners who are unable to afford the cost of their pet’s emergency or critical care. FACE grantees are typically low-income families, senior citizens, veterans, military families, students, disabled individuals, or hard-working families and individuals who struggle to survive paycheck to paycheck. With a tagline of “Saving Pets and Helping Families,” FACE’s work is just as important for the animals we save as it is for the families who are spared the heartbreak of losing their best friend. FACE proudly works with over 160 veterinary hospitals throughout San Diego County. Veterinary partners make FACE’s work possible by generously discounting their services for qualified FACE patients by at least 25%, and helping to fundraise whenever possible. 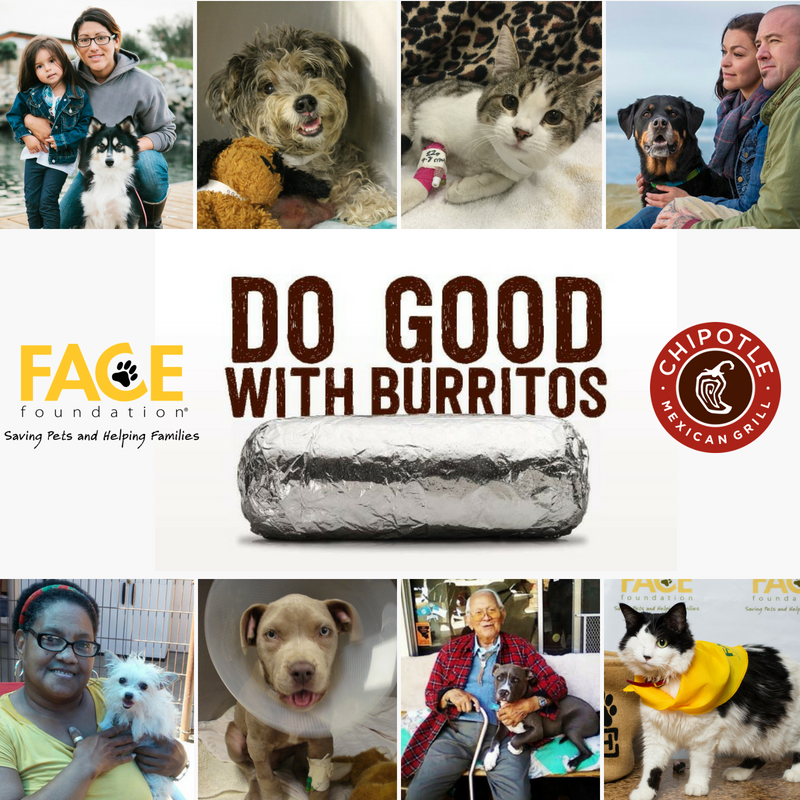 FACE relies solely on donations to continue providing access to life saving veterinary care and to enhance and preserve the quality of life for these loving pets.